Five Star Drainage Ltd are FULLY accredited and all works undertaken are done so diligently by our skilled, well trained operatives. Health & Safety remains at the forefront of all projects and we work within set guidelines and regulations set by the relevant governing bodies. 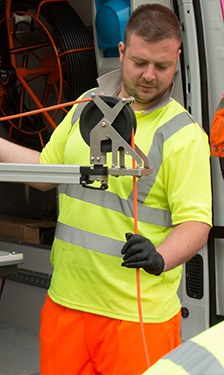 All reports provided are carried out to meet OS20 standards.</p> <p>With the latest technology, skilled engineers and a reliable team, you can rest assured that you are in safe hands with FIVE STAR DRAINAGE LTD.